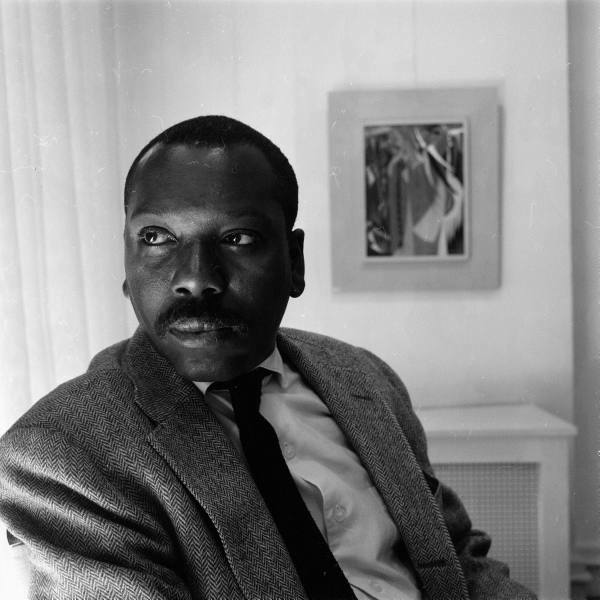 Known for producing collections like his sixty panel Migration Series, Jacob Lawrence is one of the most widely acclaimed artist of the 20th century. 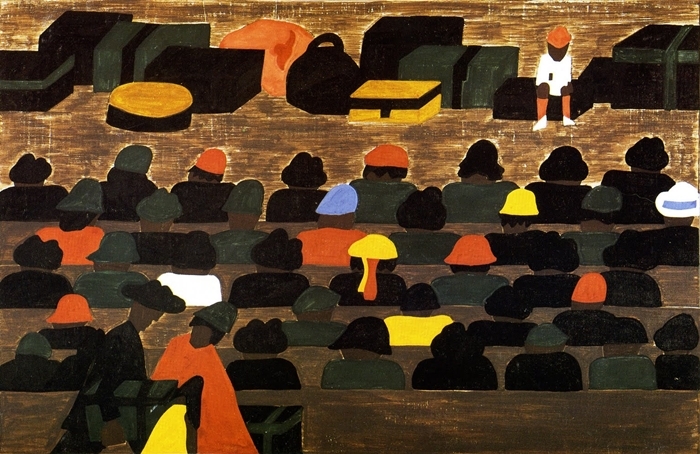 Influenced by the shapes and colors of Harlem, Lawrence brought the African-American experience to life in his work. 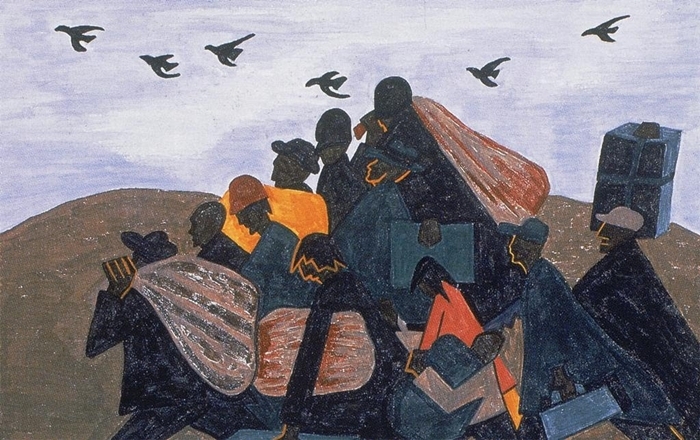 His Migration Series chronicled the movement of African Americans form the rural South to the industrious North. Mr. Lawrence dropped out of school at the age of sixteen, but later attended classes at the Harlem Art Workshop. He would later receive a scholarship and attend the American Artists School. Throughout his lengthy artistic career, Lawrence concentrated on depicting the history and struggles of African Americans. 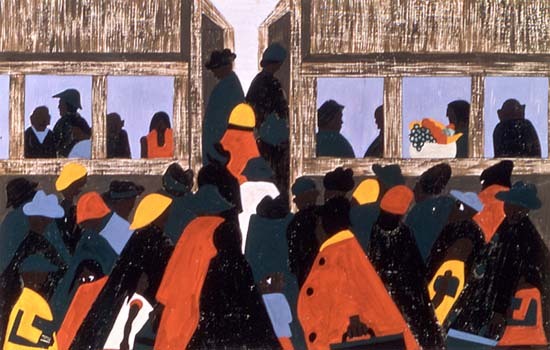 Lawrence’s work often portrayed important periods in African-American history. Check out a few samples of his work below. Peace & Love!! !